How does any single volunteer organization thrive for more than a century? It clearly must be founded on a mission that resonates with its community. And that is the case for The Winton Club. Since it was established in 1911, it has been attracting enthusiastic and committed women who are dedicated to exclusively supporting Winchester Hospital. 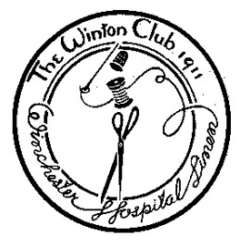 As their cleverly artistic logo recalls, the club began with the mission of sewing linens for use in the community’s newly established Cottage Hospital. While the form of The Winton Club’s volunteering efforts may have changed over the decades, the mission to enhance patient care and services at Winchester Hospital has remained constant and vibrant. Over the years, the club has raised more than $3 million with help from key partners including Salter HealthCare, CareOne and Winchester Savings Bank. In May 2017, Ciarcia presented CEO Dale Lodge with a gift of $110,000. As in past years, this donation came from the club’s two biggest fundraising efforts – the Winton Shop at the hospital and the club’s annual cabaret. 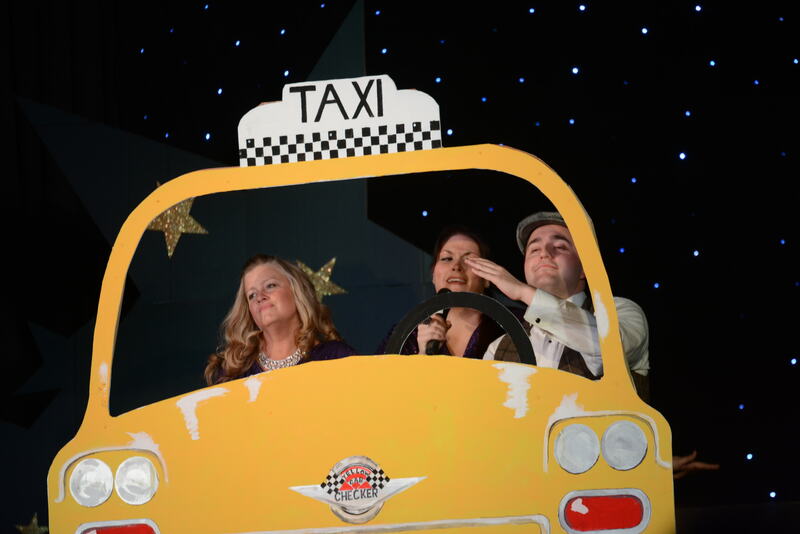 Each winter, the club stages a cabaret that showcases hidden community talents, features senior hospital leaders in their own special song-and-dance number and regularly brings down the house with the club members’ fast-paced tambourine routine. The Winton Gift Shop, located in the hospital lobby, is a perfect resource for family and friends visiting patients as well as hospital employees and the community at large. “The Winton Shop has a long track record of success,” noted shop Chair Diana Deering, who recently was recognized for 25 years of service to the club. “Looking ahead, we plan to expand the shop’s offerings & services and welcome everyone to stop in.” Plans are also in the works to offer some products and services at the Center for Cancer Care at 620 Washington Street. The Winton Club also partners with local business’ Mahoney’s Garden Center, Whole Foods, and Lord & Taylor on special days when a portion of sales goes to the Winton Club on behalf of Winchester Hospital. Another example of how the club reaches out to the community sharing information about opportunities to support the Winton Club on behalf of Winchester Hospital. With more than 150 members, the women of The Winton Club form a strong and vibrant community, clocking more than 5,000 hours of fundraising and in-hospital service each year. Their spirit of volunteerism has been making a difference in the hospital community for more than a century, and their cause continues to resonate with the women of the towns and cities Winchester Hospital serves. If you are interested in joining the Winton Club, please visit their website or contact them at info@wintonclub.org. 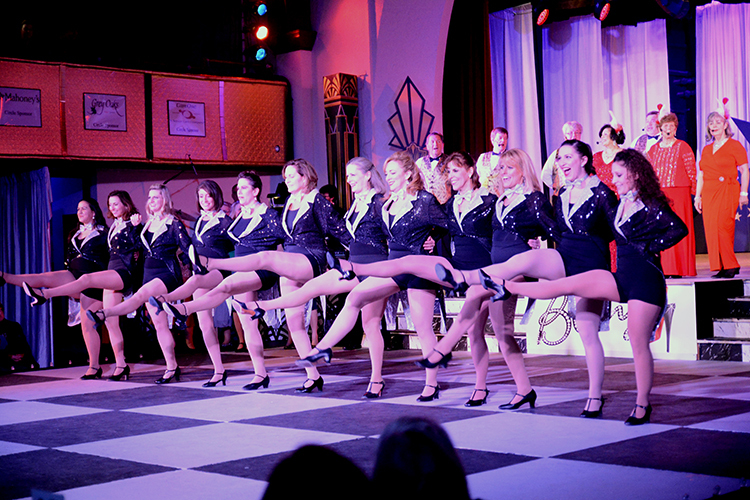 A scene from the 2017 cabaret, Bling! Kicking up their heels for a good cause at Bling!